After we built Poorna, our base model, we had a bit of a problem. We had engineered a lot of flexibility into our design. Folks asked us, “what can you do with this?”. My typical response, invariably, would be “a lot – anything, in fact”. It took me a while to figure out that this was not working…. “anything” is “nothing” unless shown to be “something”. After that realization, I set about building some demos. We call this model “Minchu”, meaning “Lightning” in the Kannada language (spoken in Karnataka state in India; Bengaluru/Bangalore is the capital city, and also our base). The idea behind this name will be explained towards the end of this post. I have visited Shenzhen, in China, a couple of times. Each time, I have come back impressed with the bewildering variety of stuff sold at Huaqiangbei, all at shocking prices of course. My favorite trinkets, purchased there four years ago, were a few scrolling LED badges. Back then, I had not seen these online, but now Aliexpress seems to have a lot of choices. These badges feature bright LEDs of a single color – red (cheapest), green, blue and white(30% more expensive than red). 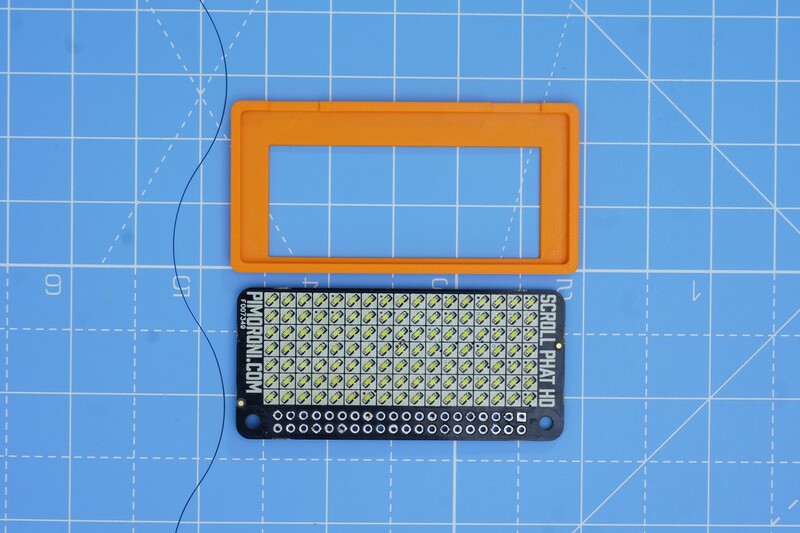 They pack a lot of SMD LEDs, worked off a battery, the whole thing was programmable with a USB cable, and included a rechargeable battery plus a magnetic clip at the back. In any case, I was hooked - I must have purchased 10 pieces, at-least, at bargain prices! They were a big hit in my office as well. I sold a few (at cost) to a few lucky colleagues. Walking around, with one pinned to my shirt pocket, was a surefire way of grabbing attention at conferences. A great conversation starter! These commercial name badge is programmed via a USB cable. The badge uses a PL2303 serial to USB converter. I could have used the same name badge itself, with a bit of reverse engineering. However, I was more interested in showing off the Raspberry Pi compatibility that we had built. So, I chose to add the Pimoroni Scroll pHAT HD to Poorna. Would it be possible to use these features to animate my name on the pHAT while my phone is in sleep? Kite is a phone platform. It features very low power consumption (<5mA) even when connected to the cellular network. If I could configure the pHAT in “animation mode” & then send the phone to sleep, then the animation would be visible when the phone is in sleep, without any additional CPU usage. Being the lazy types, I searched online to see if folks were using the animation feature. Nothing relevant turned up. That kind of made sense. Most folks use a Scroll pHAT HD with a Raspberry Pi, on Linux. Animation is typically implemented by repeated draw calls, followed by calls to update(). Generally, folks don’t put the Raspberry Pi to sleep while expecting it to do something useful…. To accommodate the Scroll pHAT HD inside Poorna, we need to modify the back cover. But before we do that, let’s get the electronics to work, shall we? My last update covered Kite, and mechanical assembly of Poorna. However, I didn't say anything about software and interfacing electronics. Most of this post will cover those aspects. All the files referenced in this post are available in minchu-v01.zip. Information required to interface the Scroll pHAT HD is available at pinout.xyz. Basically, the pHAT is powered by 5V. I2C (two wires – SDA, SCL) is used for communication with the IS31FL3731 chip. 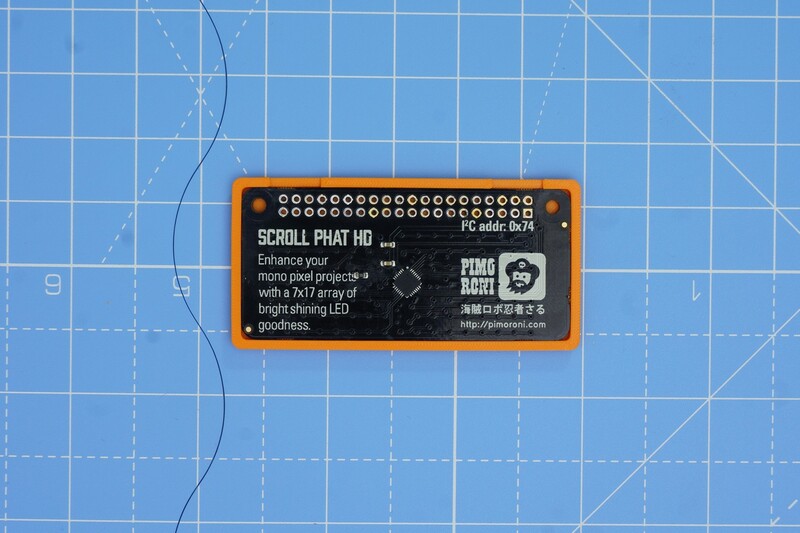 The Scroll pHAT HD is generally used on a Raspberry Pi with the headers soldered. To make a compact case, these need to be removed. We need to next verify that KiteBoard can “talk” to the Scroll pHAT HD, as well as implement the required software to get the whole thing to work. 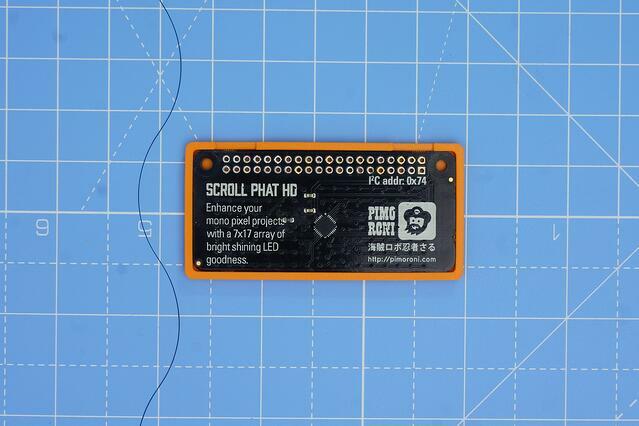 Pimoroni maintains a Python module for the Scroll pHAT HD – this works on the Raspberry Pi, running Linux. 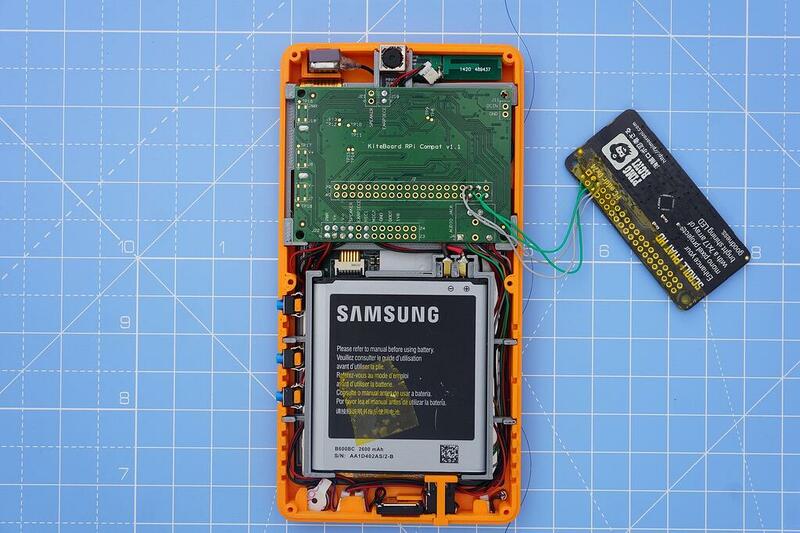 KiteBoard runs Android; Linux software won’t work directly in our environment. What are our options? I could, of course port the python library to Android first. To start with, that’s way too much work. Also, after porting, if the thing doesn’t work – do I blame my port, or the hardware? In a 5x7 pixel large font. At this point, we have checked the hardware. It is fun to run the other examples too. 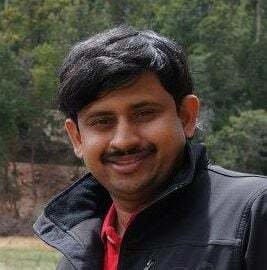 I like swirl.py – it transports me to a magical time in my childhood – where we would eagerly wait for the TV programmes to begin; the TV would spring to life with Doordarshan’s Signature Tune. Audio Frame Play mode – apparently a mode where the LEDs are modulated by audio. This gives me some interesting project ideas... For now though, I will stick with our current quest – getting the auto frame play mode to work. At this point, I should note that Scroll pHAT HD has relatively few LEDs (never mind the “HD” included in the name). 17x7 is not a lot of pixels to show any name completely. Even with a tiny font, like 3x5, the display can only show about 4 characters at a time. Scrolling will be required. The pHAT has 8 frames, so I can scroll one letter at a time. This way, I can show my full name, “Shree Kumar” in 8 frames. We can keep scrolling the name endlessly, with a bit of a delay between the frames. The chip allows a configurable delay, in steps of 11 ms, with a maximum delay of 64*11=704 ms. The chip supports 8 frames – one of which can be displayed at a time. 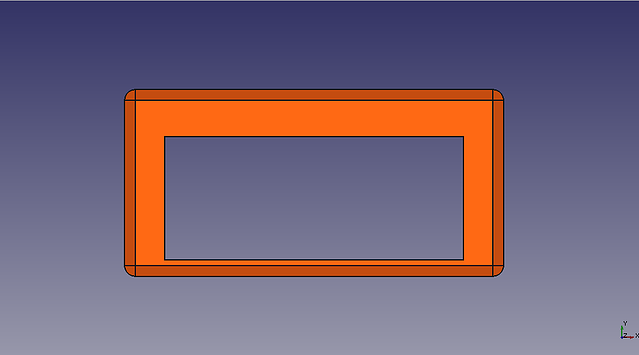 It also supports configurable start & end frames. For my name, we’ll have to use all frames. Programs draw a complete frame, and then show() it. Two frames (frame 0 and 1) are used, as a double buffering scheme. Frame 1 is drawn to, when frame 0 is visible on the pHAT, and vice-versa. The show() function manages this scheme. """Show the buffer contents on the display. transforms applied before taking a 17x7 slice and displaying. changing the state of the display. # Display the buffer only if a specific buffer wasn't specified. Plus, I implemented a play_animation() function (in is31fl3731.py ), with a configurable delay. After play_animation() finishes, the 8 frames are automatically rendered by the IS31FL3731 chip (and hence, by the pHAT), with the configured delay. # Start the animation - and ensure it stays even after we exit! name-badge.py draws 8 frames of the name animation. With each step, the name is scrolled one letter to the left. Animation mode is activated next, with a delay of 50*11 = 550 ms (I like this speed). The script exits immediately after setting up animation mode. Normally, the library cleans up on exit – but in this case, we want the animation to keep running. The last line of code ensures the library does not clean up. When the script exits, we will see that animation keeps on running. 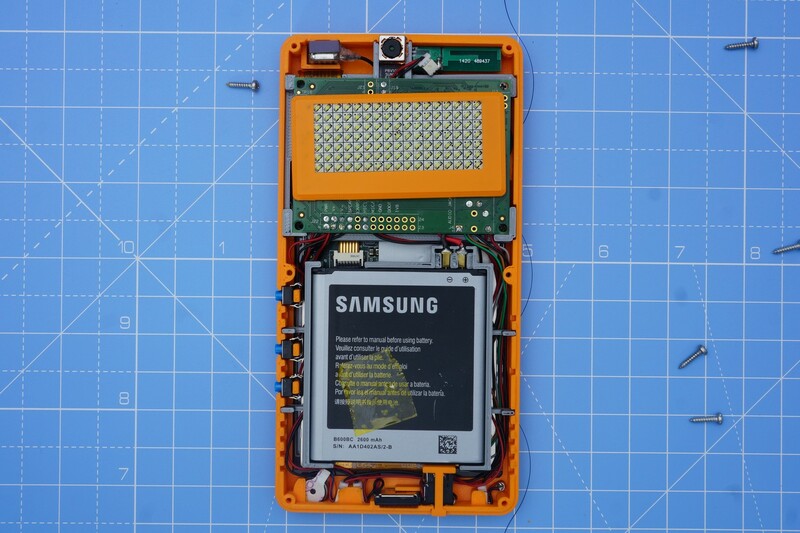 The expansion board (to which the pHAT is connected) supplies power to the pHAT, even when the phone is in sleep mode. I can send the device to sleep by disconnecting the USB cable, and pressing the power button (just like any Android device). The end result - the name animation keeps playing, even when the phone goes to sleep (note the screen is off). Mission accomplished? Not quite. We need to get this scheme to work in Android, natively. We wouldn’t want to run a whole lot of other things (Linux userspace libraries, python,…) just to show a name on a badge – would we? Android includes a large amount of software running over the Linux kernel. Android has an interesting security model that makes it close to impossible to access platform hardware directly. This makes sense – consumer hardware rarely has any pins available for usage. Typically, hardware access in Android happens through well-defined APIs. Most folks don’t add new hardware to Android – this generally requires the hardware to have some sort of mass market appeal/use case. That won’t work for us. To make it easier for “hacks” like ours (and explaining stuff easily), we have disabled SELinux on our Android build. If we didn’t do that, we’d have to write at-least an additional layer of software to manage access to hardware. An Android-ish solution would generally configure the badge from an application written in Java (using the Android APIs). There is no API to access I2C, so we’ll have to use C/C++ code to do that – and call that code using JNI. All hardware access in Android apps works more or less this way – but generally through an intermediary service (e.g. Camera). 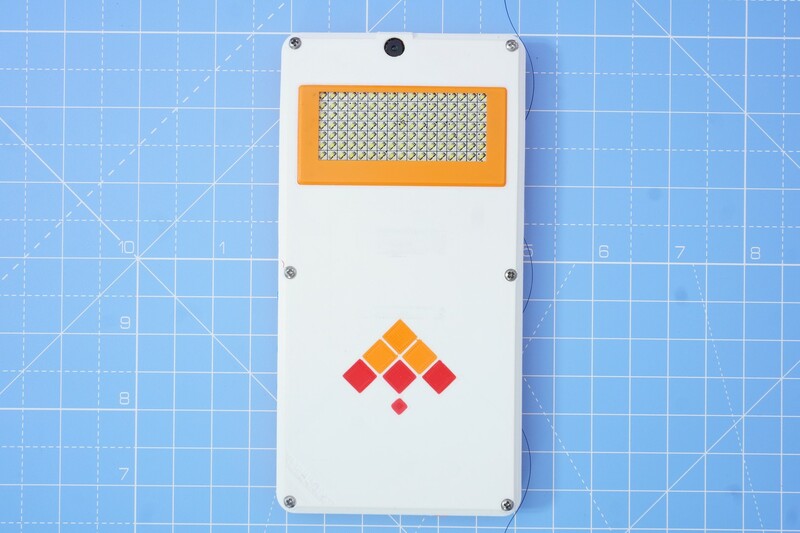 We follow the KISS principle, and because this badge is not for the world to use, we can directly communicate with the I2C device. The “mm” command builds the targets inside the current directory. 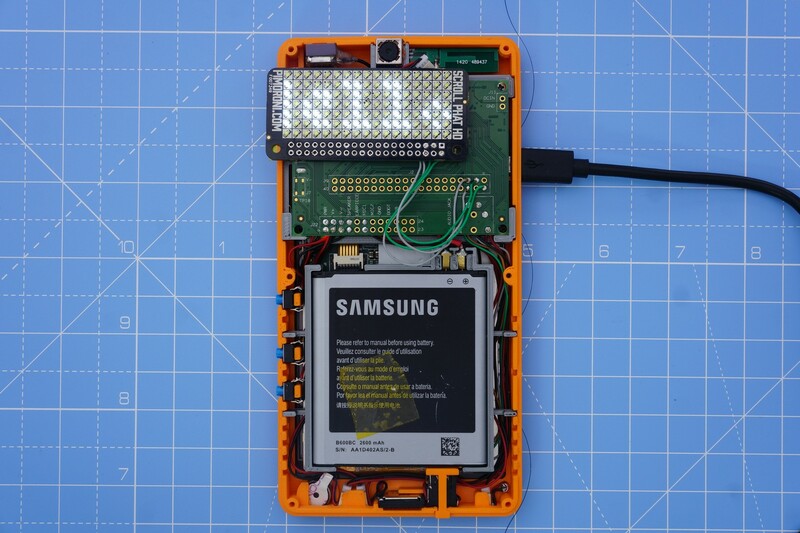 The executable binary is generated in $ANDROID_SOURCE_ROOT/out/target/product/kite/system/bin/test_test_lcd_gfx. On Android, /system/bin is part of PATH – so the executable can be used from the command line without explicitly mentioning it's path. The port is good - so I can now see my name on the badge. The name keeps animating even after the program exits. So far, so good. Now that the underlying functionality has been implemented, we need to make this accessible from Android – Java code. To call the native code from Java, we need to implement a JNI (Java Native Interface) wrapper – a shared library that will be loaded & invoked by the Java code. Here is ScrollPHATHD.java- a class with all native methods. The class loads libphatgfx.so - which contains the implementation of all the functions... oops "methods" I should say. With that done, we now need a standard Android application to program the badge… I want the phone to work in “badge” mode when it is in sleep. Android applications can get notifications of important activities – by implementing what’s known as a “BroadcastReceiver”. Android has “Intent”s for various events – including ACTION_SCREEN_OFF, which you probably guessed is fired just before the screen goes off. We hook on to this screen off event, and configure the Scroll pHAT HD in animation mode. 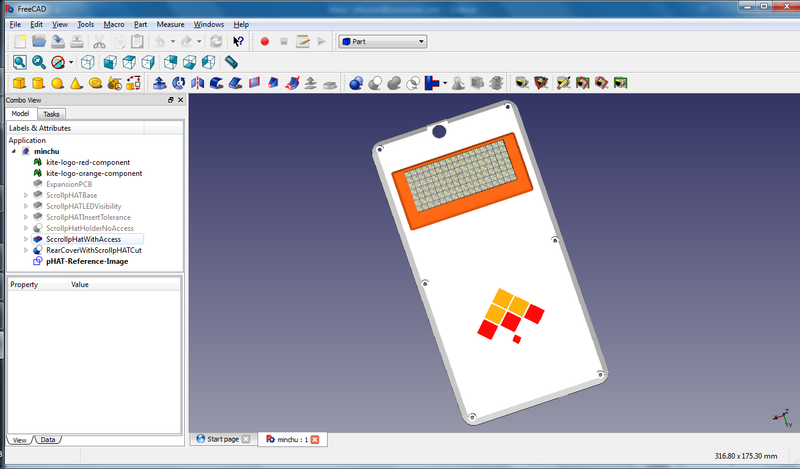 After we finish, the device goes to sleep – with the animation running. Sweet! You’ll need to compile & run the "phat" application to see it working. Use Android studio for the same. Next, let’s modify the case & include the pHAT inside it. The pHAT is connected to the expansion board with four wires. The PCB and the components are about 4 mm thick. 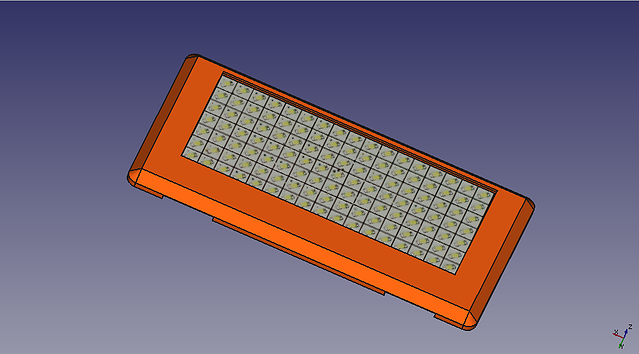 The completed case can’t add much thickness, if we want to take it around. in our pockets We can achieve minimum thickness, if the pHAT sits right above the expansion board. 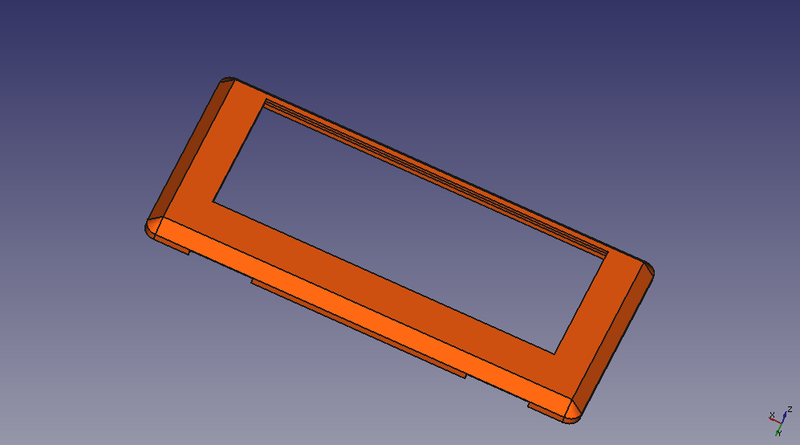 To modify the rear cover, we will use FreeCAD, version 0.16. This open source application makes it possible to do the design in an easy-to-use user interface. 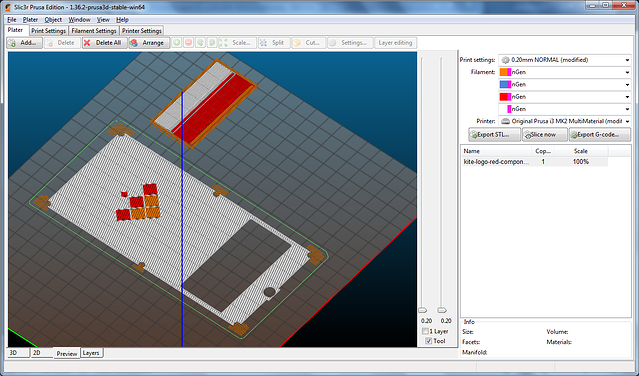 FreeCAD is parametric - meaning we can measure the physical dimensions of the pHAT and fit it in. The parametric nature allows easy changes - simplifying trial & error. Something too tight? Just change the dimensions a bit by tweaking a number – no need to redo the entire design. This post is too small to give a tutorial on FreeCAD; I will cover the important steps. The model created below is available in minchu-v01.zip, as "freecad/minchu.FCStd". 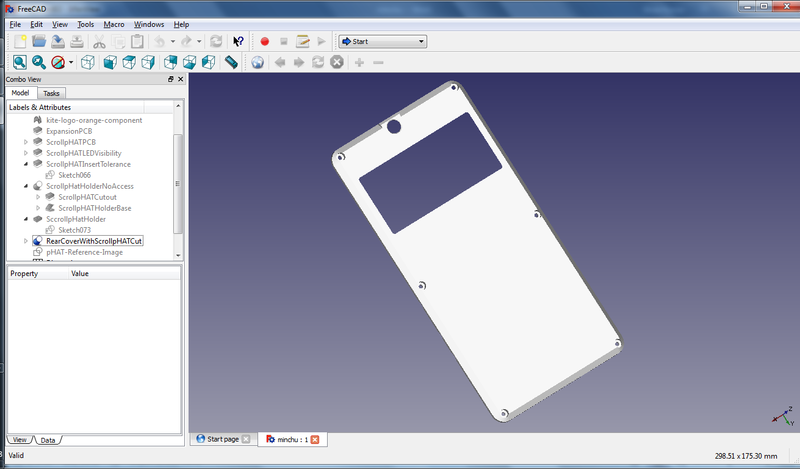 This freecad model file includes measured dimensions in a spreadsheet - these dimensions are referenced to create the actual shapes. 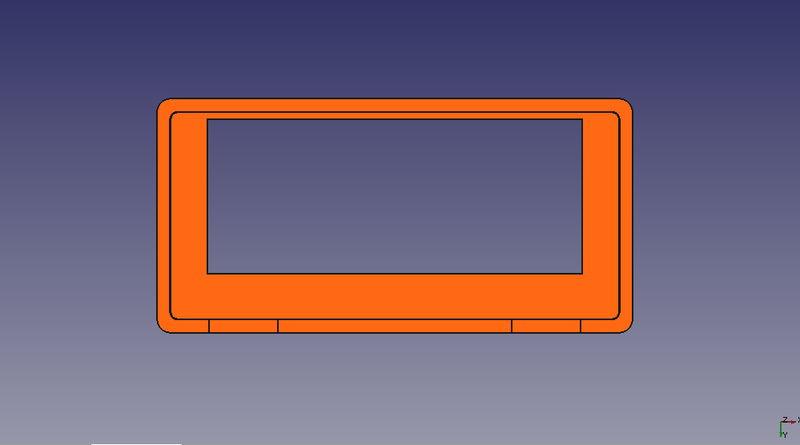 Let’s begin by designing a simple “holder” that fits the Scroll pHAT HD. The Scroll pHAT HD can be inserted inside this holder, with the LEDs visible. 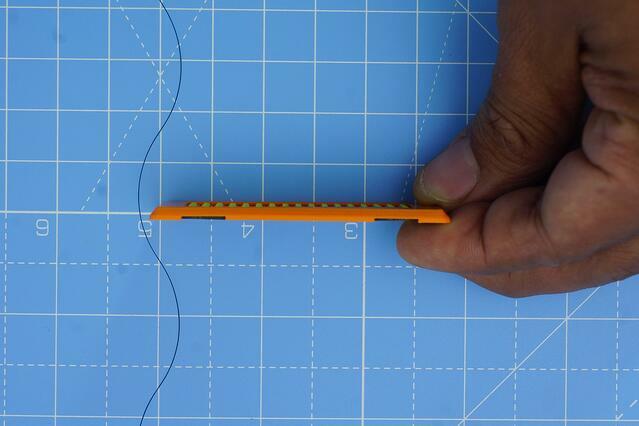 Let’s bevel the sides of the holder. On the bottom side of the holder, there is a small cut in the plastic to help route the wires. Lets put the pHAT in the cover – fits nicely! I used a tolerance of 0.1mm – which seems to give me a satisfying fit. Let’s place this over our open phone to see how best we can put everything together. I figured this will work best. With the phone in my shirt pocket, if I want my name to be visible, then I want to have the pHAT as close to the rear camera as possible. We can now print the rear cover. 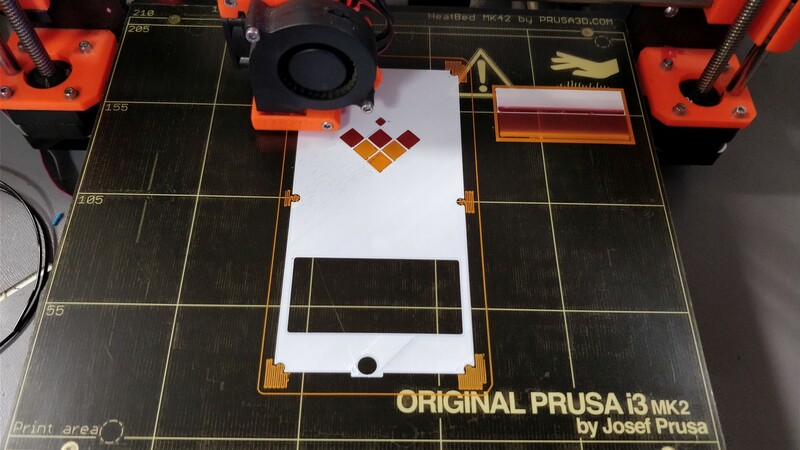 I have a Prusa i3 MK2 printer, with the Multimaterial printing capability – with the ability to print up-to 4 colors. To spice things up, I have included the Kite logo (orange & red parts) – hope you noticed it in the last picture. I use Slic3r for slicing the model. Each part is assigned a different extruder – 1 for orange logo piece, 3 for red logo piece, and 4 for back cover (white). 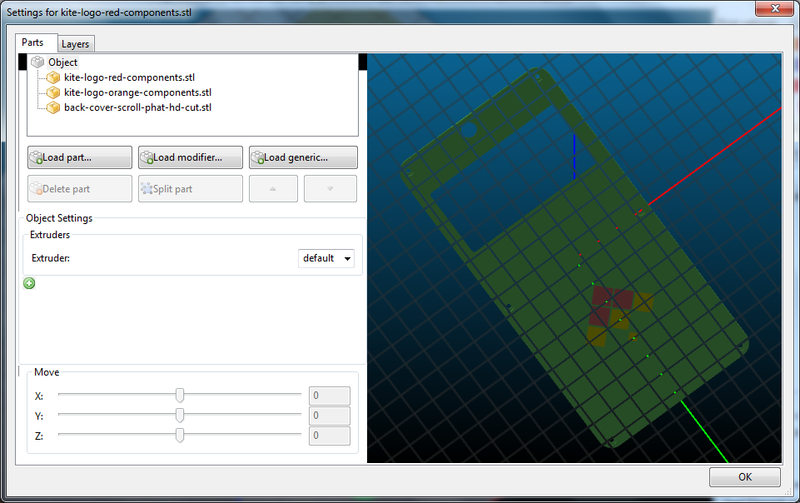 Everything looks fine, so I export the gcode to an SD card, and start the print. The first layer went reasonably well – that’s the important part with most 3D prints! All's well that begins, and ends well. After 2 hours, 19 minutes, here's the result. Time now to see if the pHAT cover will fit the modified rear cover or not. Thanks to our meticulous approach – it seems to fit well! Great! Now, it is time to assemble the complete device. Reach out for the screwdriver to finish the masterpiece… I maybe going a bit over the top here, but let’s just say that I was overjoyed to see the complete thing. Look at the image below & judge for yourself! Still here with me ? Great. It’s time now to explain what’s behind the name “Minchu”. As mentioned earlier, the word “Minchu” means “Lightning” in Kannada – my mother tongue (my actual mother tongue is a dialect of Kannada, but this level of detail should be good enough for now). What’s lightning got to do with the name badge? 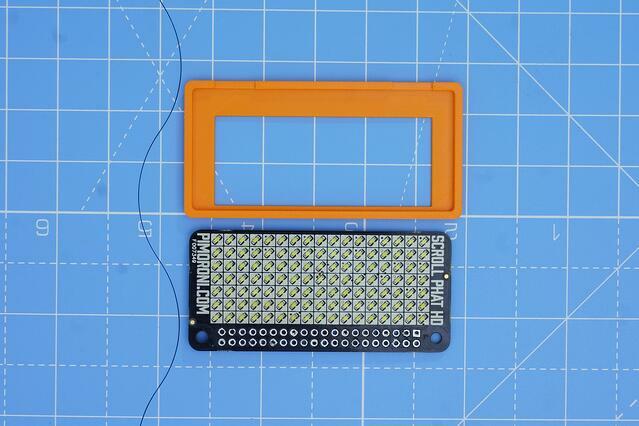 The Pimoroni Scroll pHAT HD features 17x7 insanely bright LEDs; you wouldn’t want to stare at it with all LEDs running at 100% brightness. It’s about as bright a light as you can add to your phone – hence the name “Minchu”. The “dazzling” effect is best captured here… I wouldn’t stare at the light – if I were you! Android is an open source project. Andriod ROMs have long put this to great use. Many features implemented in popular ROMs have found their way back into AOSP. 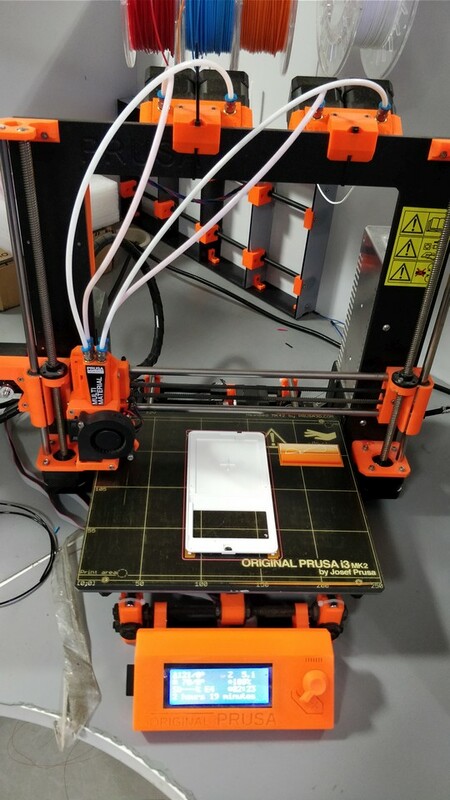 Consumer phones don’t allow you to add hardware to them – so the amount of customization possible is limited. 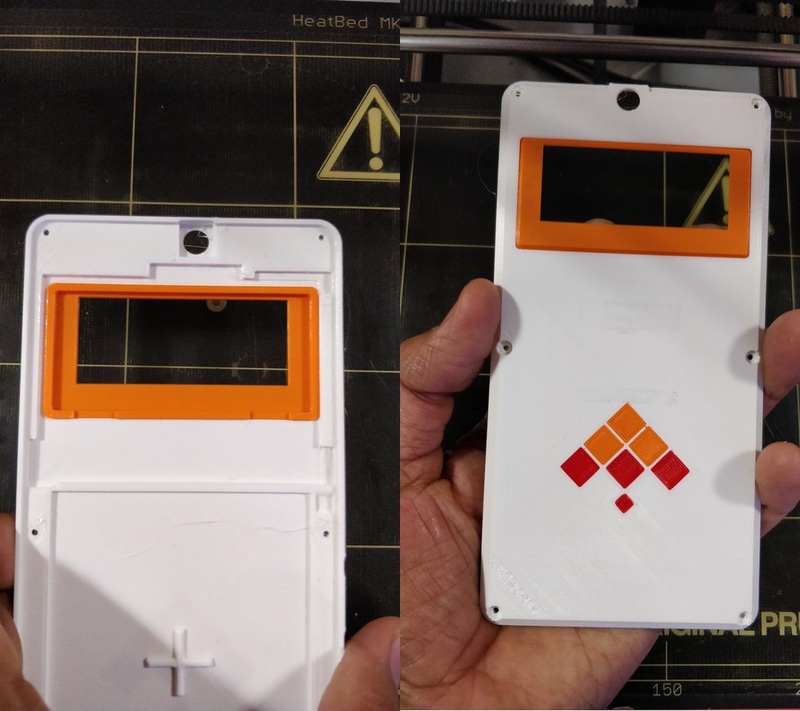 Kite gives you the awesome ability to add your own hardware –that alone opens-up opportunity for makers to solve various problems that will never be addressed by consumer phones... Let’s get back to the torch and show you how to modify Android. 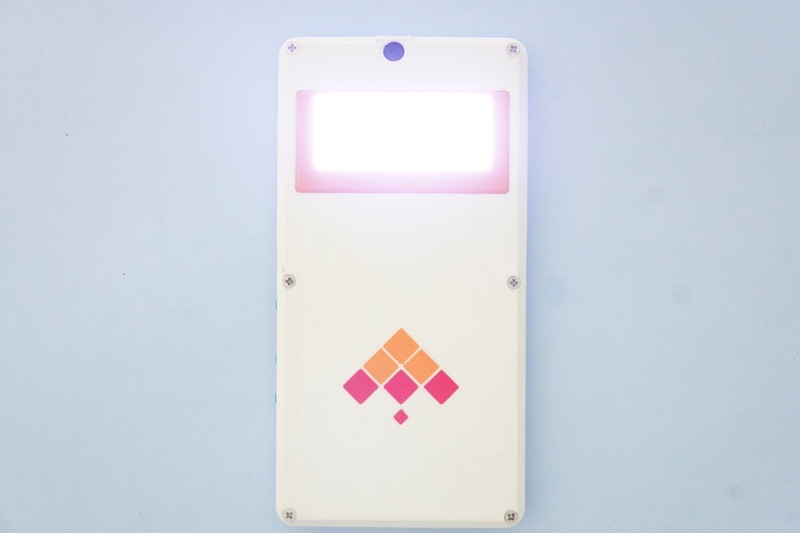 We can use this LED panel as a bright torch. Android has this “Torch” widget in QuickSettings – accessible when you pull down the statusbar on the screen. Wouldn’t it be cool if we could use this to turn ON our LED panel? Of course, glad you asked. After making these changes, we need to recompile Android, and flash the "system" partition (pro devs can use some shortcuts too – but let’s keep it simple for now). That’s it – we are done for now. The flashlight example is a simple, but useful example. 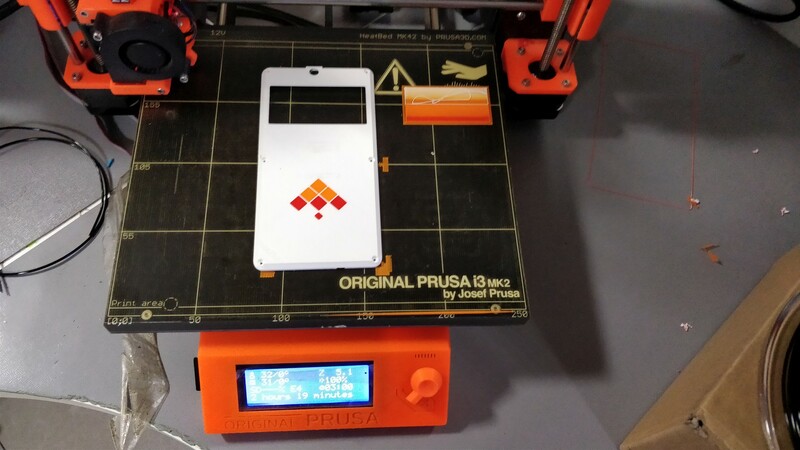 With our Raspberry Pi compatibility, you can easily add various commonly available sensors to the phone. Not only will you be able to monitor the environment, but you could potentially implement entirely new ways of interacting with your favorite device. What sensors would you want to add to your phone - and how would they impact Android? Please let me know in the comments below! Thanks for reading.